Researchers have developed an artificial intelligence (AI) program that can automatically provide species-level identification of microscopic marine organisms. The next step is to incorporate the AI into a robotic system that will help advance our understanding of the world's oceans, both now and in our prehistoric past. Specifically, the AI program has proven capable of identifying six species of foraminifera, or forams – organisms that have been prevalent in Earth's oceans for more than 100 million years. Forams are protists, neither plant nor animal. When they die, they leave behind their tiny shells, most less than a millimeter wide. These shells give scientists insights into the characteristics of the oceans as they existed when the forams were alive. For example, different types of foram species thrive in different kinds of ocean environments, and chemical measurements can tell scientists about everything from the ocean's chemistry to its temperature when the shell was being formed. However, evaluating those foram shells and fossils is both tedious and time consuming. That's why an interdisciplinary team of researchers, with expertise ranging from robotics to paleoceanography, is working to automate the process. "At this point, the AI correctly identifies the forams about 80 percent of the time, which is better than most trained humans," says Edgar Lobaton, an associate professor of electrical and computer engineering at North Carolina State University and co-author of a paper on the work. "But this is only the proof of concept. We expect the system to improve over time, because machine learning means the program will get more accurate and more consistent with every iteration. We also plan to expand the AI's purview, so that it can identify at least 35 species of forams, rather than the current six." 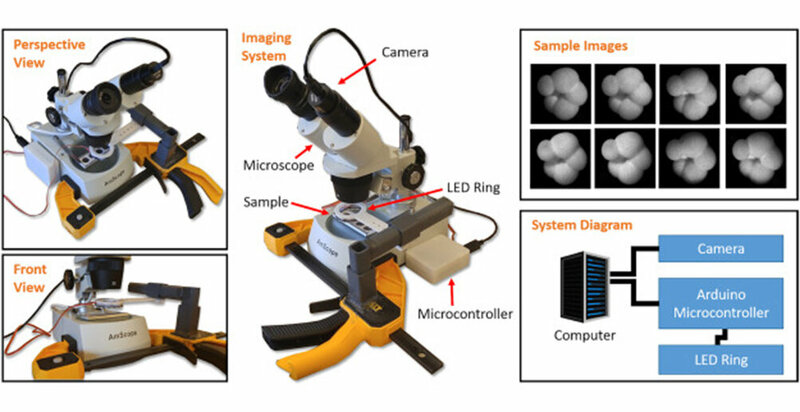 The current system works by placing a foram under a microscope capable of taking photographs. An LED ring shines light onto the foram from 16 directions – one at a time – while taking an image of the foram with each change in light. These 16 images are combined to provide as much geometric information as possible about the foram's shape. The AI then uses this information to identify the foram's species. The scanning and identification takes only seconds, and is already as fast – or faster – than the fastest human experts. "Plus, the AI doesn't get tired or bored," Lobaton says. 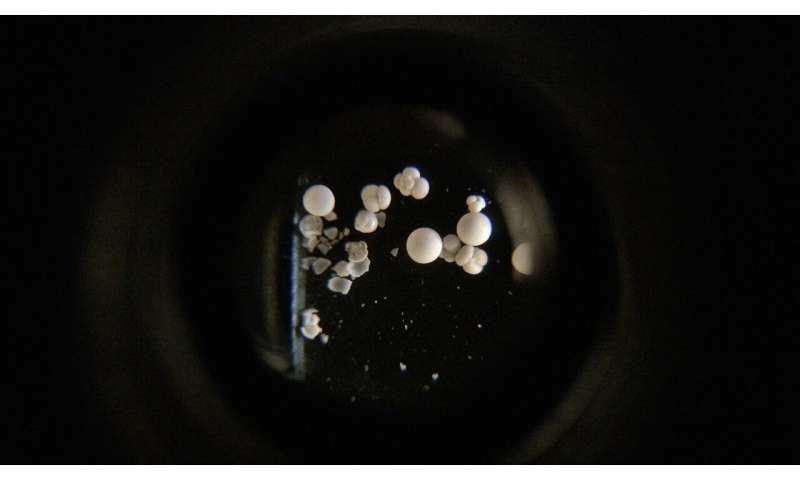 "This work demonstrates the successful first step toward building a robotic platform that will be able to identify, pick and sort forams automatically." Lobaton and his collaborators have received a grant from the National Science Foundation (NSF), starting in January 2019, to build the fully-functional robotic system. "This work is important because oceans cover about 70 percent of Earth's surface and play an enormous role in its climate," says Tom Marchitto, an associate professor of geological sciences at the University of Colorado, Boulder, and corresponding author of the paper. "Forams are ubiquitous in our oceans, and the chemistry of their shells records the physical and chemical characteristics of the waters that they grew in. These tiny organisms bear witness to past properties like temperature, salinity, acidity and nutrient concentrations. In turn we can use those properties to reconstruct ocean circulation and heat transport during past climate events. "This matters because humanity is in the midst of an unintentional, global-scale climate 'experiment' due to our emission of greenhouse gases," Marchitto says. "To predict the outcomes of that experiment we need a better understanding of how Earth's climate behaves when its energy balance is altered. The new AI, and the robotic system it will enable, could significantly expedite our ability to learn more about the relationship between the climate and the oceans across vast time scales." 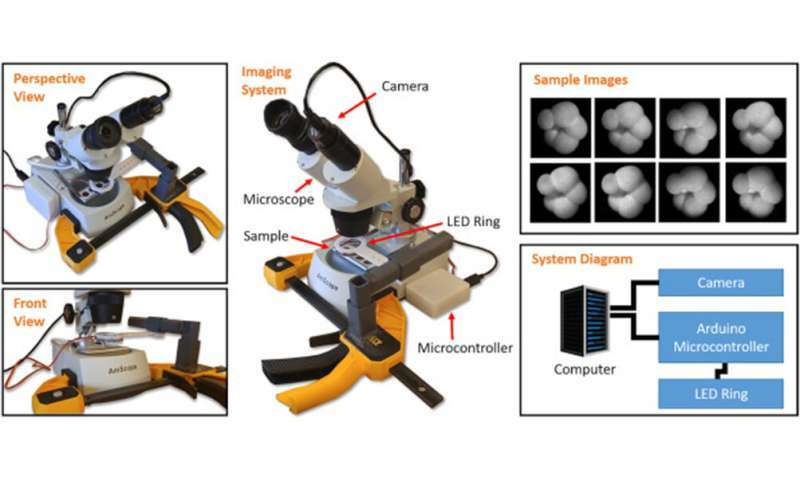 The paper, "Automated species-level identification of planktic foraminifera using convolutional neural networks, with comparison to human performance," is published in the journal Marine Micropaleontology.